If the south is known for a certain type of music, it might be a close tie between the blues and bluegrass. Luckily, you don’t have to choose! Play your cards right and you can enjoy all seven of these amazing free blues and bluegrass Kentucky music festivals. Each festival showcases a unique atmosphere and rich heritage that makes Kentucky a great place to enjoy live music! In the Bluegrass, Blues & Barbecue Region of Kentucky is the W.C. Handy Blues & Barbecue Festival. This festival celebrates the life and musical legacy of William Christopher Handy who was known as the “Father of the Blues.” Selected as a STS Top 20 event of the South, the W.C. 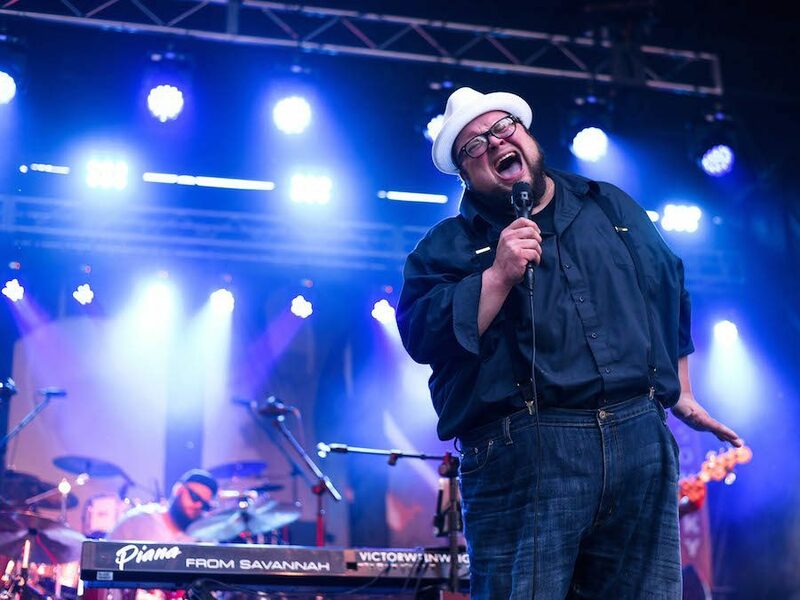 Handy Blues & Barbecue Festival has grown to be one of the largest free music festivals in the nation with over 40,000 attendees throughout the 4-day festival. This years marks the 28th year of the free festival. You’ll hear a variety of blues styles, including gritty Delta blues, smooth soul, big horn bands, and Zydeco music. There’s also delicious food — cajun favorites and juicy barbecue that the region is known for! The event showcases big name talent every year, including Grammy Award and Blues Music Award winners and nominees. The festival takes place at an outdoor venue in Henderson, Kentucky, which is where Handy himself claims to have found inspiration for his music. The festival occurs annually on the weekend of Father’s Day, on the beautiful banks of the Ohio River. The venue is just a short walk from the charming downtown and local restaurants. For festival dates and more information, visit the W.C. Handy Blues & Barbecue Festival’s website. In the Daniel Boone Country Region of Kentucky is the Fraley Festival of Traditional Music. It is a unique annual celebration of the musical heritage of eastern Kentucky. The tradition started four decades ago with musically talented members of the Fraley family. The atmosphere still feels like a true family gathering! Guests can expect to hear a range of bluegrass and Appalachia inspired tunes from instruments such as fiddles, acoustic guitars and dulcimers. The event is held at Carter Caves State Resort Park in eastern Kentucky. Wednesday night of the festival is free, and the following nightly admissions range from $4-$10, a great value for great entertainment! Performers and music fans from across the United States come to share music and swap stories. 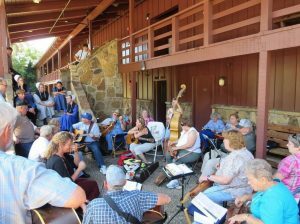 Some of the most important music making takes place away from the stage — jam sessions take place day and night in parking lots, campgrounds and on porches! The festival has been held the first weekend after Labor Day since 1979, in Olive Hill, Kentucky. For festival dates and more information, visit the Fraley Festival of Traditional website. 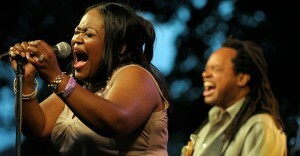 In the Southern Shorelines Region of Kentucky is the Blues Harbor Festival. It caters to a unique blues audience — those that also love the water! 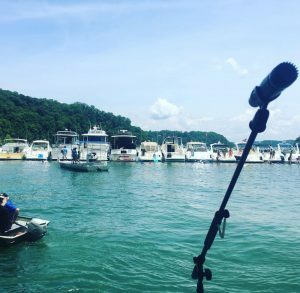 This event actually takes place on the gorgeous Lake Cumberland literally! People bring their boats and floats and throw anchor in the cove that is right off of State Dock in Jamestown, Kentucky. The water party barge hosts a handful of bands and musical talent. And, of course, the festival is free! Attendees can stick around after festival hours for music and entertainment at the Tiki Bar and Restaurant, too! For festival dates and more information, visit the Blues Harbor Festival’s website. In the Bourbon, Horses, and History Region of Kentucky is the Germantown Schnitzelburg Blues Festival. 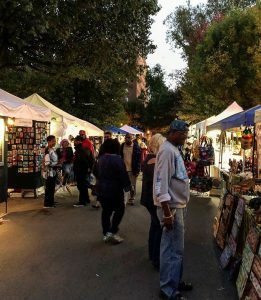 It is held annually on the first Friday and Saturday of June in Louisville, Kentucky. 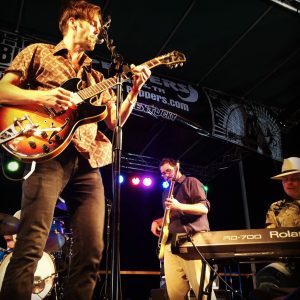 Hosted by the Kentuckiana Blues Society and Check’s Cafe, the festival brings together some of the best local and regional blues talent from Louisville and the surrounding area. The outdoor festival features three awesome blues bands each night. A portion of the proceeds are donated to a different charity each year. For festival dates and more information, visit the Germantown Schnitzelburg Blues Festival Facebook page. In the Western Waterlands Region of Kentucky is the Kenlake Hot August Blues Festival. If you enjoy a laid back festival atmosphere while being in nature, the Hot August Blues Fest should be on your list of events to attend. For almost 30 years, the festival has been dedicated to presenting blues music with as few distractions as possible. 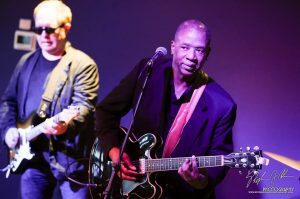 Renowned local and international blues artists have taken the Hot August Fest stage. Folks bring their lawn chairs to the lakeside amphitheater at Kenlake State Park Lodge to to listen to nighttime entertainment. Guests can also purchase tickets for Friday and Saturday nights’ entertainment. For festival dates and more information, visit the Hot August Blues website. In the Bluegrass, Blues & Barbecue Region of Kentucky is the another free Henderson event you can’t miss — Bluegrass in the Park & Folklife Festival. One of the oldest ongoing free bluegrass festivals in the nation, Bluegrass in the Park hosts two days of family fun activities including live bluegrass and folk music, historic folk activities, and great food concessions. The event takes place at a beautiful riverfront venue in Henderson, Kentucky. The music festival is held in conjunction with the folklife festival. Traditionally, other community events such as Breakfast in the Park, a disc golf tournament, and a 5K also take place during the festival. 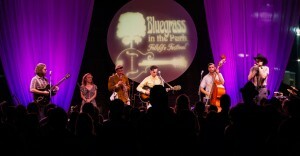 For festival dates and more information, visit the Bluegrass in the Park & Folklife Festival’s website. In the Bourbon, Horses, and History Region of Kentucky is also another can’t miss Louisville event — The Garvin Gate Blues Festival. It is a celebration of both the blues and the arts! The two-day annual arts and music event features local and national performers and attracts an audience of diverse cultures and generations. In addition to continuous live entertainment from two stages, the festival has an array of food and drink vendors and over 50 crafts booths. The festival has grown over the years. The first year the event was held in 1988, and the musicians played in a parking lot. Thirty years later, the event draws crowds of more than 20,000, and takes place at a bigger venue at the corner of Garvin Gate and Oak Street, just one mile south of downtown Louisville. Names such as Magic Slim and the Teardrops, Jimmy Burns and Deborah Coleman have all performers at Garvin Gate. Part of the festival proceeds go back to the community to benefit nonprofit organizations. For festival dates and more information, visit the Garvin Gate Blues Festival website.